Discover the methods and skillful tricks of master news writer, Rene J. Cappon, to create your own compelling and clear writing style. Designed to help writers at any level improve the quality and flow of their writing. Former long-time Associated Press (AP) General News Editor, Rene J. Cappon offers timeless, practical advice and lively commentary on writing like a pro for novices and seasoned professionals alike. Cappon covers all the essential methodologies of researching and generating the written word in this guide. Learn how to develop a hook, choose the most effective words, construct a good lead, and implement more strategies for success. 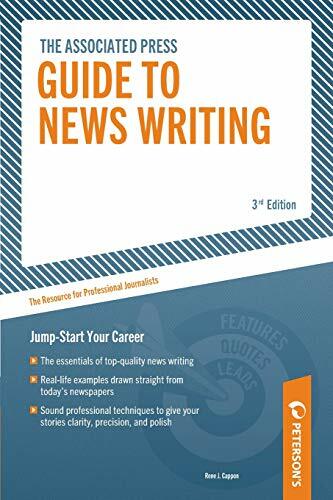 Whether you plan to become a journalist or just want to markedly improve your writing ability, The Associated Press Guide to News Writing offers tried and proven advice and techniques to take your writing to the next level.